HotelTonight is one of my favorite apps. I consider it to be really well designed and built. Its latest update includes a feature called ‘Snap Your Stay’. You can read a detailed review of the feature on GigaOm. The attention to detail in building this feature could be easily missed, but it is simply brilliant. The above would had been too much cognitive work for the users. It would also generate random sets of images (and text), which would had been too complicated to structure in any suitable format to be presentable in a comprehensive way to other users. The above is a classic example of high quality work that goes into building well designed features. It seems very obvious after we see it designed and implemented. But such subtle simplicity requires careful attention to detail and results in significantly improved user experience. We should all strive to achieve this kind of simplicity and high touch! 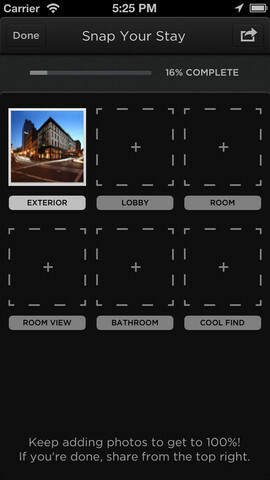 Disclosure: I had the opportunity to work on the HotelTonight app for a couple of months in late 2010 (pre-launch).